Kyoto, Kyoto and again Kyoto. I’d say Tokyo deserves at least 5-7 days and Kyoto one full week. Don’t move too much I mean try to group visits in the same neighbourhood and don’t change hotels too many times. You can easily get to Osaka, Kobe, Nagoya from Kytoto, finding hotels and checking in takes time. In Tokyo there are cat cafés and also rabbit cafés, owl cafés, a Vampire café (harder to find), many train cafés. Hard to say what restaurants have the best food there are lots of chains like Izakaya that offer different dishes but in Japan restaurants can be inside buildings so hard to find. You eat well even in modest restaurants. The LP has a great language travel book that is very useful (and small). In Kyoto there are sentos (public baths) that are great, do remember to wash outside the bath and you can’t wear a swimsuit otherwise I like Kinosaki onsen (4h from Kyoto). Don’t miss the geek shrine in Akihabara and Asakusa by night is also beautiful and quiet. In Kyoto you can walk almost everywhere that’s the best way to discover the town. The garden of Heian shrine is one of my favourites, I don’t think you can see the irises but it’s has ponds and a great wooden bridge. Unfortunately I haven’t been to Japan so can’t give you any tips but hope you have an amazing trip! Thank you Rosemary! 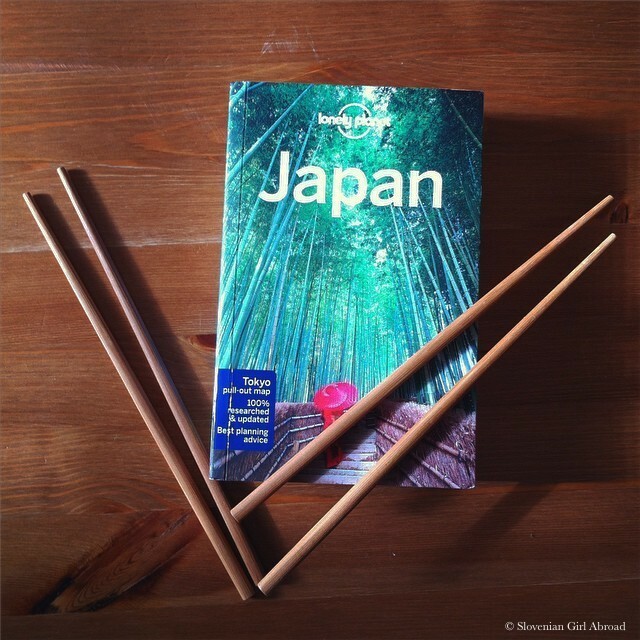 After all I’ve read about Japan, I’m sure it will be an unforgettable trip! Will you be there when the cherry blossom is out? That is so pretty from the photos I’ve seen! Will definitely wrote down about my Japan adventure when I’ll be back! Hi, thanks for following my blog. I see you’ve already read some of my Japan tips (there are plenty more to come!). You are going to have such a fantastic time! One small tip I have – carry some hand sanitiser, hand moisturiser and a small pack of tissues around with you. Although Japan has quite hi-tech toilets, I found that quite a few were lacking in soap or hand dryers! No worries. I look forward to reading about your adventures when you get back! So exciting! Love Japan! You’re going to have a great time. Looking forward to seeing the pictures and reading about your impression. I wish you a safe and fun trip! The nice thing about Japan is that you can get places fairly quickly via the train or the bullet train. I spent a month there in December, and I have some posts on the places I went, which I see you have been checking out (thank you!). If you are going to be spending most of your time in Tokyo, Kanagawa prefecture is a close day-trip, or you can stay there for a couple of days, and enjoy the onsen. May is a good time to enjoy the natural beauty in Kanagawa. I recommend Hotel Kajikaso in Hakone, although it’s a bit pricey so it depends on your budget. If you’re interested in Mt. Fuji, I can recommend my “hometown” of Yamanashi prefecture. It’s about 2 1/2 hours by train from Shinjuku. Fuji-Kawaguchiko is a city with a lot of accommodations, including ryokan, that have a range of prices. Try Trip Advisor to see reviews, they are pretty accurate! There is also Lake Kawaguchi nearby and a variety of shrines. There are also museums, and some flowers should be blooming in May. Buses are easily navigated in this city. I do think Kyoto is a great place to spend a few days, and you can get there by bullet train (easier) or overnight bus (cheaper) from Tokyo. I hope this is helpful! I hope you have a wonderful trip! Hi Kei! Thanks you for your suggestions! I already read your blog (as you already found out :)). I found it very useful! Thank you! Exciting!! There’s also an owl café in Tokyo if that interests you, and a ‘robot restaurant’ which all the tourists seem to go to – lots of lights and music, the bizarre side of Japan! If you’ve got any questions, plz ask anytime! Good luck with planning! >If you’ve got any questions, plz ask anytime! I was in Japan back in January. To ski of course – what else? ABSOLUTELY LOVED Hokkaido. Did a road trip traveling from one ski resort to another. We also skied Nagano on Honshu and saw the Snow Monkeys (that I see you have on your list). A big impression was going to Hiroshima. Also stopped in Kyoto on the way back. The Japan Rail pass was a good investment. In Tokyo, also did the fish market but just checking each district was a blast – Shibuya, Ginza, Asakusa, Shinjuku, Harajuku – LOVED IT! We won’t ski, but we’ll visit Hiroshima, Kyoto & Tokyo as well. So excited! >To ski of course – what else? “What else?” There is much much more to do and see in Japan than just snow ski. But, then, I see that you visited a few of Tokyo’s main areas. Flicking through my blog posts might give you some ideas and where to go really depends on personal preferences. I tended to base myself in Kyoto and Tokyo and take advantage of the amazing Shinkansen train network to get around. Rather than give you a massive list of places, let me suggest a few personal favourites. – Kyoto is simply sublime and if I had to nominate just one temple it would be Tenryu-ji, followed by some time wandering around Arashiyama. – For castles, Himeji is almost impossible to beat. – Nikko is a must see. – Around the Peace Park in Hiroshima is an experience not to be rushed. – Try to visit Meiji Jingu (next to Harajuku Station) on a Saturday, where you might also see some Shinto wedding parties. Yoyogi Park is next door, where something is always happening. I notice that Celia has also replied to you and her blog has lots of great ideas for Tokyo and day trips. Have a great time and I look forward to reading about your experiences. Hi John! I already went through your blog and got some great info there, but the suggestions of your favourite things are even better. Thank you! We’ll be based in Tokyo, Kyoto and Hiroshima and from there will make day-trips to different places, like Himeji, Arashiyama etc. I hope we’ll be able to see and experience as much as possible! Thank you so much for stopping by! Cheers! I see you’ve popped onto my blog a bit in the past few weeks, so I hope you found some good ideas for your trip. Japan is an amazing place to travel and I have no doubt you’l have a fantastic experience. Have a great time!